KIND Snacks donated over 7,000 KIND bars to The Council of Graduate Students to complete this year’s end-of-semester De-stress & Rest Kits. 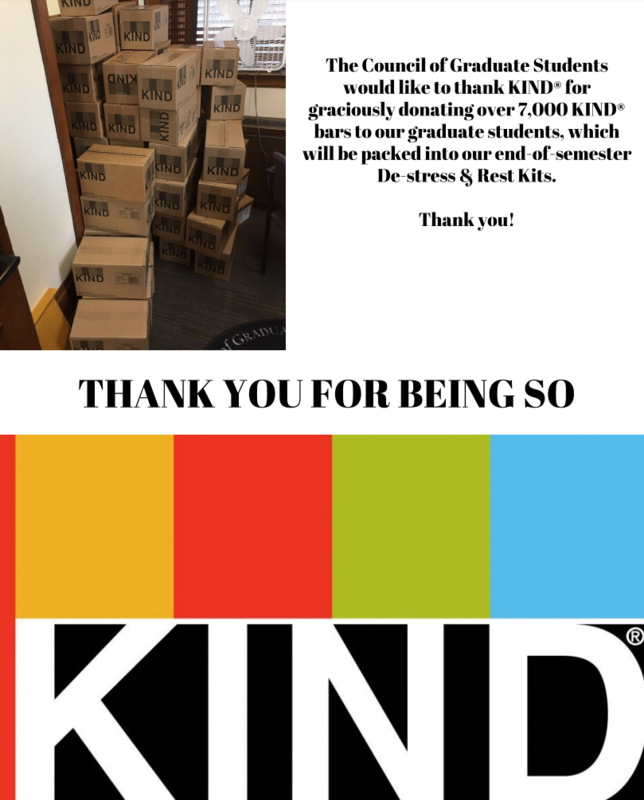 COGS would like to thank KIND Snacks for their contribution to the wellness of graduate students during finals. 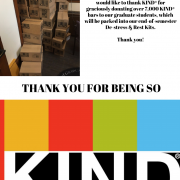 This is the second year that KIND Snacks has donated to COGS.